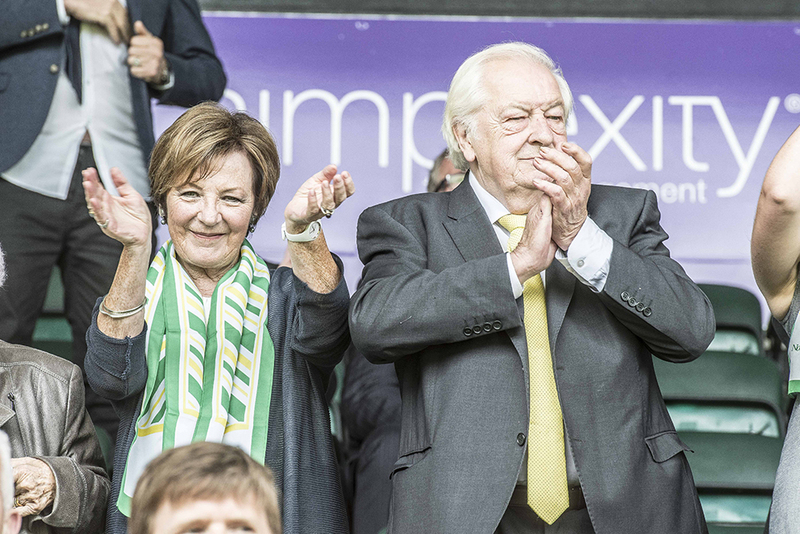 Norwich City is a self-funding club with Delia Smith and Michael Wynn-Jones as the majority shareholders. They, rightly or wrongly, are both facts. Without investment looking likely anytime soon – again rightly or wrongly – Norwich will need to be creative with their financial outlook. I’m not going to begin to delve into the ownership debate, that’s been covered enough times by people more educated than me. In that opening paragraph, I have used words which are met with angst and infuriation by supporters. ‘Self-funding’, ‘investment’ and ‘creative’, you can almost hear readers tense up at their mere mention. When Norwich unveiled plans for an improvement to Colney training ground, many sharpened their pitchforks, ready to aim their anger to all quarters. I’m not saying that is right or wrong, but it’s intriguing. The Premier League gets packaged as the ‘promise land’ where money is no object and dreams are achieved. In truth, it is a commercialised, average and overhyped land full of false ambition and broken promises – see West Ham Utd. Shiny new stadiums, rising transfer fees but yet a sense of short-termism and lack of fulfilment. Saga after saga. The media become less interested in what happens in between the white lines and more so regarding off-field player behaviour or latest scandal – see Jamie Carragher. The clubs stink of wealth, and they plunge it all into big names and agent costs. Despite having this degree of money, ticket prices are still through the roof and supporters expect their club to stay in the division. It is so regressive. It’s no coincidence that the emergence of England’s leading division has coincided with the demise of England’s national team. It is about success, at any cost or measure. There are no ethics implied for young players, released without checking their psychological well-being. It’s all a bit tedious in honesty. Norwich lie out of it all, and while it means dipping your toe amongst the top guns of European football, the money and lack of care for supporters makes me rather glad to be out of it. It’s also what makes this new-found approach more pleasing. Norwich are attempting to buck the trends and, admittedly, they may struggle for finances and recruitment on a low budget but that is where they currently stand. Rightly or wrongly. With the shadow of the infamous Times article hanging in the backdrop and the wasted millions still burning a hole, you can’t blame supporters for feeling aggrieved at the club’s cry for additional resources, investment or not. £3.5m is a minuscule amount for a Premier League side basking in all their wealth, yet how many clubs would invest in their academy? Southampton, Manchester City and Arsenal aside, there are little advocates of the academy system, although I’m willing to stand corrected. No Hunger in Paradise is well worth a watch (a BT Sport Documentary) as it highlights the pitfalls of the system. The concept is excellent, once which is suitable for all parties, from investor to club, but is naturally dependent on promotion. In many ways, it raises expectations further. 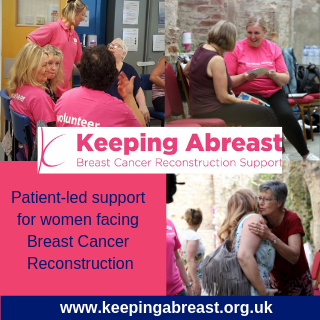 Those investing in the project are expecting their investment being made worthwhile, whether that be £500 or £25,000. Yes, the financial rewards if all goes well are attractive, but those investing want a return on the pitch also. Those who don’t possess the luxury of finances are rightly feeling angry. Why should they pay more on top of the most expensive season ticket in the division? The answer, they shouldn’t. The club are being forced to rake over their mistakes; expensive ones too. With angst being displayed on all quarters of social media, there is a clear ripple of discontent towards the ownership debate. Delia and Michael have been wonderful for this football club, and, as previously stated, I’m not going to delve into the debate surrounding their position. I’d hate for it to go sour, mind you. I expect to be questioned on why Norwich didn’t spend this money while occupying the upper reaches of the English game. I doubt many supporters would have been onboard if the club opted to invest in their academy and training facilities over a new signing. It’s not a turn on for supporters. But the truth is, Colney has been riddled with a mishmash of temporary solutions installed based on the premise that redevelopment would take place once the club stabilised in the lucrative Premier League. Norwich City is playing catch up over a lack of strategic investment. The scattergun approach is being exposed horrendously. It’s more reliable than a bank loan. It’s slightly more innovative and clever, and for that Tom Smith deserves credit. Finally, the club is thinking in a way that is sustainable and more akin with contemporary football. It worked for Stevenage and it will work for Norwich. The future is much smarter with this self-funding model, it’s creative and innovative. While the top clubs are blowing £100m+ on a new midfielder who dabs more than he completes passes, the smaller clubs are revolutionising football – see Brentford as an example. Bold? Absolutely, but haven’t Norwich City been too vigilant in recent years? Good read Connor. While extra investment wld be great it’s clear it’s not going to happen anytime soon. We just have to get on with doing things differently which in essence means trying to achieve success by developing players, selling on, and unearthing hidden gems. A bit like the Lambert era of old. It certainly makes for tough and challenging times, but l do think we have a good management team who will give it their very best shot. The bond issue. Interesting to read fans comments. We each have to make a decision based on our own circumstances and our assessment of the potential financial risks, but it is an opportunity to make a small investment in the club. It’s rather ironic to decry that opportunity while at the same time complaining about the lack of “big” investors. I’ve always struggled to understand while anyone without a close association with a club would want to sink millions into the bottomless pit of football. Good read Conner, and a great comment DJC. Re; the Lambert era, I wonder how often our majority shareholders think how different things might have panned out, if only they had believed in Lambert’s vision for our club. OK, no one can know for sure, but given what’s happened since to both Lambert and NCFC, if they had backed him I feel pretty sure that by now we both would be firmly established in the Premier League. It would be interesting to know how many clubs in the premier and championship leagues are self funding. I doubt if there are many but would like to know whether it is possible. I suspect that apart from the Manchester United’s of this world the rest are running at a loss. If this is the case it would appear that our plan is doomed from the beggining unless we retain 26,000 crowds in a lower division. The point is that as fans, we don’t have to accept it any more than we didn’t have to accept Robert Chase – in the end. The ambition and drive of the club has fallen apart, as we now head towards a delusional self-funding model that even a non league club would balk at. In theory it can be achieved, but in reality, much will suffer because of it. You state that ‘Delia and Michael have been wonderful for this football club’. No. What are the pluses of Delia continued majority shareholding (with MWJ) with a veto if she doesn’t agree to anything? How is that helping Norwich City Football Club? I deeply concerned how some fans are buying into the Emperors new Clothes from majority shareholders who offer the club absolutely nothing. Rather predictably given my MFW history I thoroughly agree with you. 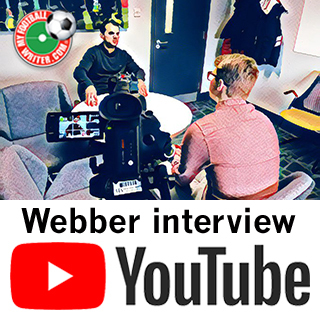 I would however add that the Webber-Farke philosophy is probably the best we can do (eg afford) under the circumstances and at least concerning matters on the field we should continue to back them as far as I am concerned. There are a few ways to finance a foitball club and up grade the facilities to keep a status quo but as I abd a few others mentioned in repky to a Martin Penny article it is all down to misspent money whilst in the Premiership. Other MFW writers say that the board takes nothing out of the club why should they when they don’t put anything in most are retired and don’t rely on a pension to live off, travel to all games at the clubs expense, eat drink and entertain again from the clubs coffers and all that is coming from either TV moneies or ST paid for by supporters. A lot of clubs gave gone down the route of ground naming not something I would gave wanted at city but it is about time city looked at this it just might get 4 or 5 million a season and comes under the self financing bracket. We all want to see a successful city academy that produces players we can sell and also make the first team but until city get investment it will either take a long time or never hapoen. Perhaps the biggest perceived problem with ‘self-funding’ was the lack of meaningful debate before it was imposed – although, in reality, most clubs have been doing it for years; Norwich included. However, with so many other Clubs engaging with “investment” there’s something of a herd instinct to call for us to do the same. Again, there’s frustration simply because that particular debate has, effectively, been closed down by the majority shareholders. Blimey Gary if I could answer your question I would have to possess the brainpower of the late-lamented Stephen Hawking. Which I do not. In a word Gary, Pressure. The majority shareholders have had virtually none placed upon them, bar the odd moan and chant – mainly this season. The managers has usually took the flak when things have gone wrong in the past. The Status Quo isn’t just about the board, the fans have to take their responsibility as they are part of it too. If you want change, you have to do something about it and Norwich fans, by and large, don’t. There has always been this oxymoronic permanent dissatisfaction combined with being very easily pleased, unlike no other club I can think of. The club take the gates for granted and even with the mechanical dross served this up season, we still have (almost) full houses. Officially at least. So how bad will things have to be before fans stop going? I think were heading to a huge blow up. Things won’t get any better, fans will still keep going. That situation cannot continue indefinitely. I remember the Chase Out Riots, mugs, t-shirts and whatever else went with it. Part of me felt slightly sorry for him in the sense that we went from being a MOR Div 1 club, to a club that thought a draw at Old Trafford was disappointing (The 2-2 one). Our expectations had been raised significantly and as soon as things went south and were staying south, the knives were out. Football was moving faster than Chase could cope with and he had to go – That was the bottom line. Somebody, somewhere, may have the answer. Whoa there. Norwich want to be a self-funding club, but they’re certainly not one yet. The last 10-15 years have shown we vacillate between bankruptcy and breaking even. We have relied on loans from the owners, from banks, or PL riches. We have asked fans to pay for players and to invest in the academy. Even today we rely on the sales of ‘pre-webberlution’ purchases to balance the books. Everyone jumps on Naismith and Jarvis as failures of the “old system”, but forget that 25-30M for Maddison would cover their transfers and entire contracts. Lest we forget all the other sales that have plugged the holes in our budget this year. For us to be a self-funding club we need to look 2-3 years out, when we’re looking to sell Franke or Vrancic for a deficit closing profit. Or even 5-7 years out when hopefully we’re churning out profitable youth players. But right now, we are not a self-funded club. We remain a PL TV money funded club and that money is running out. We are indeed self-financing. Potential investors in the bond scheme, if they check out Dave’s assertion that “bar a miracle we’re heading for insolvency”, will note that Norwich is closer to breaking even, and has less debt, than practically any other club. We made a small loss last year because of payoffs, a profit the year before, and expect to be close to breakeven this year. Dave is right to point out that at the moment we need to sell players to achieve that breakeven. Because of last season’s failed gamble, keeping a highly-paid squad in the hope of getting promotion, we’re in the midst of two years where we have to cut our budget in line with falling parachute payments. I cannot see that we can afford to keep Maddison this summer, especially if we plan to continue signing new players (which I’m sure we are, notably in the striking department). Happily, this summer is the last time we’ll have to cut in that way. We’re reducing our wage commitments dramatically (while also, thanks to Webber’s smart dealings, bringing in new players); if we can achieve that breakeven position this year, we’ll be on an even keel. If the Academy can produce as Webber and Farke believe it can, the future may look a lot rosier than the present.